How are Sierra Jack Petfood varieties better for my pet than the stuff I used to buy at the supermarket? Let's face it, nearly every brand of dog food claims to be “nutritionally complete.” Still, most veterinarians recommend “premium” brands of dog food over “grocery store” varieties. At the heart of the matter is and always has been the better nutritional value of a high-quality brand like Sierra Jack. Sierra Jack guarantees that we use high quality ingredients without fillers and by-products. We go the extra mile to add beneficial nutrients without adding unnecessary chemicals. Despite medical claims, many dog owners attest to the benefits these diets have provided such as shinier coats, increased energy, and better overall health. Holistic food doesn’t contain bulk-fillers: Holistic Petfoods are naturally more nutritious. Many owners report their pets eat less holistic food than other commercial varieties, so your pet eats only what it needs to maintain healthy energy levels and life functions. Your pets feel more full eating smaller amounts of tasty, nutrient-dense foods. An holistic diet can help your pet lose weight and exercise more. Reduction of skin ailments and allergies: Sierra Jack Petfoods contain quality protein and grain sources of exceptional nutritional value, which support your pet’s immune system to help maintain optimal energy and a healthy weight. 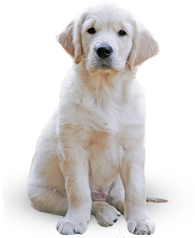 For the dogs, there are Lamb, Salmon and No-Grain varieties specifically geared for their special needs, and of course our Puppy blend for the playful youngsters!!! For your older more sedentary indoor cat, we have the Feline Lean formula, which helps maintain their weight as they choose "lounging" more than, say, chasing that laser pointer dot! Fewer digestive disorders: Holistic pet food is more digestible, it has superior grains and proteins, lacks chemicals and artificial substances...less filler, more food. Plain and simple. Rather than consuming corn or other bulk fillers and chemical additives, your pet will take in only what it needs for healthy metabolic functioning. Pets eat less and in turn eliminate less when they are on an holistic diet, which leads to better overall health and stronger immunity. Quality of Life and Longevity: By feeding your pets holistic food you can help ensure your they live a long, happy and healthy life. It is one ingredient in an overall healthy lifestyle you can help your pet enjoy. A luxurious, shiny coat, energy to run and play, a healthy weight and a strong immune system can maximize their life expectancy and quality of life into old age. I recently had a two week engagement dog-sitting with my new best girl Tiffany (she's the adorable chihuahua you'll see on our Sierra Jack Facebook page) In the pantry, the owner had some leftover popular store brand side-by-side with our Sierra Jack Holistic Lamb & Rice. To compare the actual kibble was eye-opening to say the least. The store brand came in huge puffy colorful pieces, in bright artificially dyed red, yellow and green, not unlike many sugary kids' cereals. Sierra Jack's kibble is small, brown, and uniform ovals. All I could think was, "I know that kiddy cereal tasted good when I was little, but I eat that healthy stuff now because I want to be healthy" And, you know what? I think Tiff was picking up what I was putting down, because she devoured the Sierra Jack! 'Atta girl, Tiff!